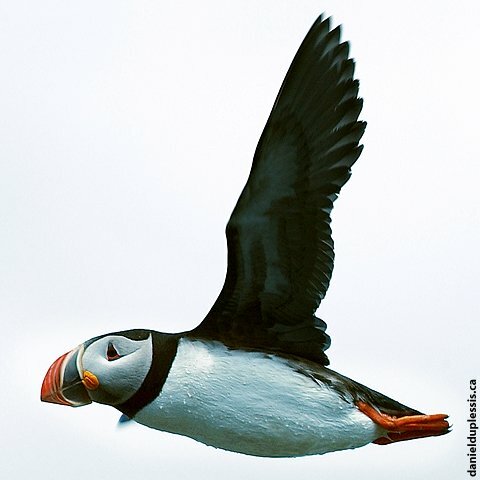 Puffins are somewhat awkward flyers but extremely proficient swimmers. They actually use their wings to propel themselves under water. Photo taken July 9 2003 on Île-aux-perroquets in the Mingan Archipelago National Park Reserve, Quebec.